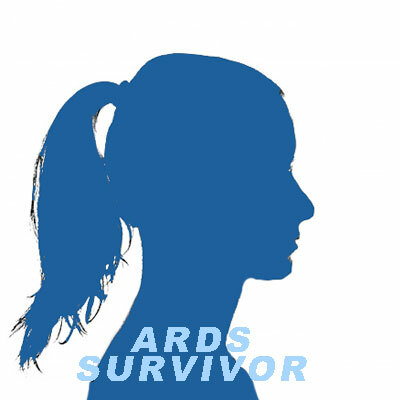 Sarah was diagnosed with ARDS in April, 2004. She was twenty-seven years old. Sarah, who lives in Monessen, PA, went to the hospital with cellulitis of her jaw from a tooth infection. Three days later, she began to feel extremely fatigued. She was having difficulty breathing and felt as though something was stuck in her throat. When he nurse came into her room to check her pulse ox, she thought that the machine was broken. It was at 36! After repeating it three times, they finally did a blood gas which came back at 32. Sarah was rushed to the ICU. Sarah was ‘blue’ from head to tow. First they did a CT scan to make sure Sarah did not have a pulmonary embolism, which she did not. Sarah was put on a BiPap machine, which took her breath away. Fourteen days later, Sarah awoke. She had bilateral DVTs in her legs, Although Sarah has no recollection of that time, her Mom told her that she was aware of what was going on and wanted to know everything. She had a stack of papers that she wrote during that time. Sarah’s eyes were blood red; the blood vessels in her eyes blew out. Sarah received an antibiotic drug called Ruffinen. Sarah’s Mom was told several times that her daughter would not survive the night, but Sarah proved everyone wrong. The doctors believe that when she had the infection in her tooth, which she had previously had a root canal, caused cellulitis in her jaw. The bacteria went to her lungs and ‘spread like wildfire.’ Sarah then developed pneumonia and sepsis. Sarah received three units of blood. Thirty days later, Sarah was discharged from the hospital. She needed two liters of oxygen for three months and coumadin for six months. Although it has been about a year, since Sarah’s illness, she is still suffering post ARDS issues. Sarah sometimes has difficulty breathing, especially with humidity. She also feels a lot of anger and some depression. Her memory is not as good as it used to be before she had ARDS. Sarah finally has been able to gradually increase her work load to a full time schedule. Her mother says that she is not the same person that she used to be. Sarah agrees but is trying to take it day by day.